Alibaba's logistics arm Cainiao has signed a letter of intent to strengthen collaboration with Russian Post to help raise efficiency for cross-border trade and bolster SME trade. Alibaba's logistics arm Cainiao Network said it has signed a letter of intent to strengthen collaboration with Russian Post to help raise efficiency for cross-border trade in a bid to bolster Chinese exports. 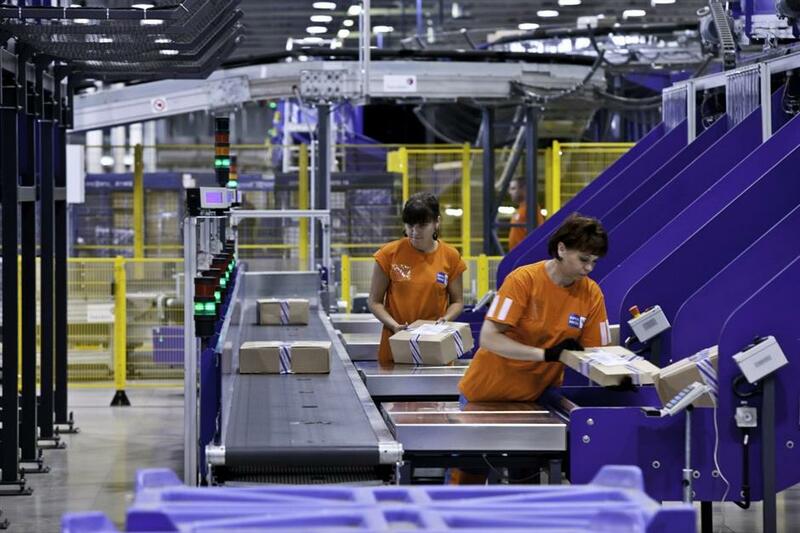 The two parties will build and upgrade the infrastructure of full-service centers in Russia, providing services for warehousing, orders, parcel handling, sorting and courier delivery, and also increasing capabilities during peak times. "Combining our two parties' experience will improve the quality, cost-efficiency and speed of delivery of goods from China to Russia immensely," said Nikolai Podguzov, general director of Russian Post. "We intend to become a key logistics partner of Cainiao in Russia." Lin Wan, president of Cainiao Network, said: “Cainiao is committed to developing a global smart logistics network with a partnership approach, and we are delighted to join hands with Russian Post to help our merchants better serve Russian and global consumers." The tie-up would boost cross-border logistics and also provide vendors on Alibaba's overseas-buyer targeted site AliExpress with warehouse and delivery services to enhance cost efficiency for merchants. Cainiao's overseas warehouse will be able to fulfill same-day orders for key Russian cities such as Moscow. The average cross-border delivery time between the two countries is now about 10 days, but that would be cut by the new deal. China is Russia's biggest trade partner. Bilateral trade jumped 27 percent last year to a record US$107 billion, according to China’s General Administration of Customs. Last year, e-commerce giant Alibaba pledged to invest over 100 billion yuan (US$14.8 billion) to build delivery network that would fulfill domestic deliveries within 24 hours, and global orders within 72 hours. It plans to open five logistics hubs in the cities of Dubai, Hangzhou, Kuala Lumpur, Liège and Moscow. Cainiao Network also set up a joint venture to build a logistics center at Hong Kong International Airport with the China National Aviation Corporation and Shanghai-based delivery company YTO Express. The center is due to open in 2023.